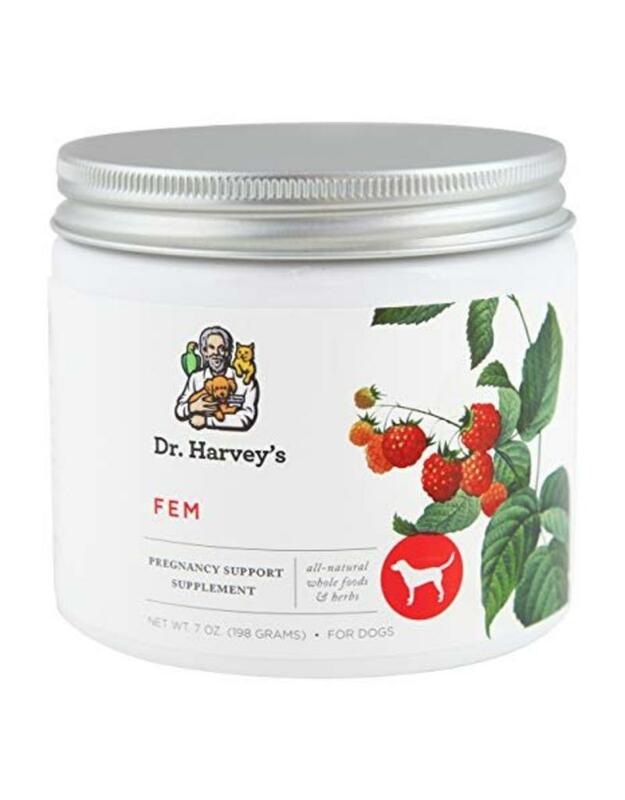 Dr. Harvey’s Fem uses herbs that are known to support the reproductive system in female dogs. This powdered formula can be used in food daily for dogs that are in season, for dogs that are pregnant or lactating. The herbs used in this formula act as a tonic for the entire female reproductive system. Many breeders have found this formula invaluable in supporting the system of a pregnant or lactating dog. We have seen this product help adult female dogs get back their strength and stamina, after giving birth to a litter.